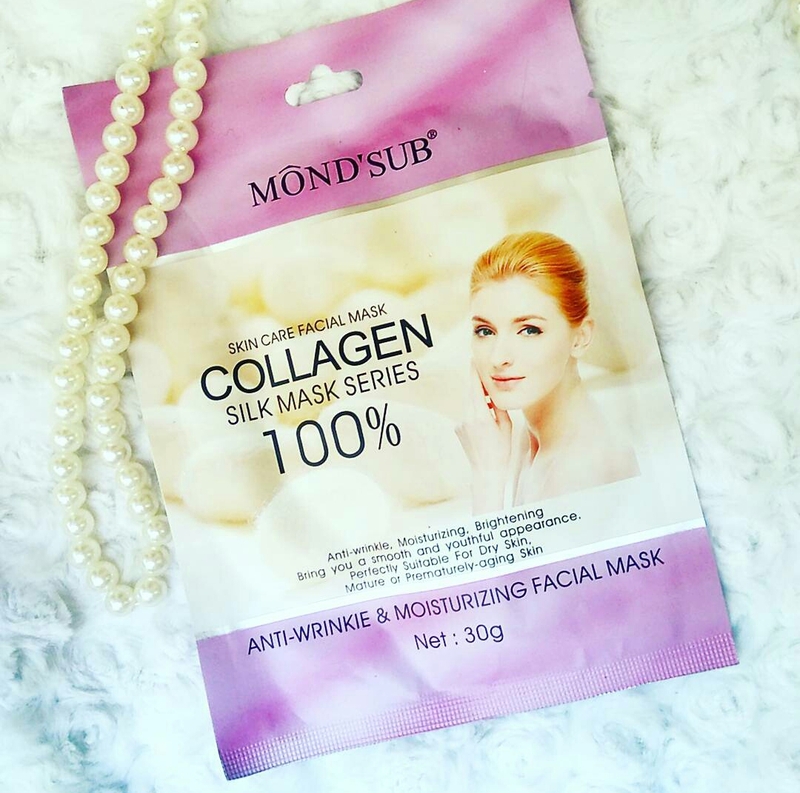 Mondsub’s Anti Wrinkle & Moisturising Facial Mask !! Today My Deep Thoughts Are upon Korean Sheet Masks , ?⭐ Well these Different-Different Types Of Sheet Masks had Already Proved , the Perfect solution for Our skin to deal with !! We Know Many Brands Who deal with these type of sheet masks & We Already Loved Them Like Anything . But today I’m Introducing to You Guys Mond’Sub Paris !! The Brand (Now Bought in India) Which Currently Deals With High Quality Skin Care Products !! Certified by Government Of India, Central Drugs Standard Control Organisation, Ministry Of Health And Family Welfare Of India !! I Received Two Sheet Masks From The Brand Side To Try & Review !! After Cleansing Face , take the mask out from the package . Remove the Blue Film which is Outside, n remove the white pearlised film too n apply the mask on your face . Adjust the mask, Try not to keep any air gaps between the mask and the face skin. Let the nutrients get absorbed into your skin. Then peel of the mask from the face after 15 to 20 mins. Apply and rub the additional liquid in the packet on your face for 10 minutes more & then wash with water. For Better insights , please Refer the image provided below ⏬⏬ !! The Brand had mentioned all things clearly which is so easy for us to apply it properly !! ( & I love all these things ) ?? Comes In A Cute Pink & White packaging , net weight : 30g which Retails for Rs. 149/- each !! & Yes these sheets are available right now on heavy discounts !! So don’t miss this chance to try on !! & Use promo code ” mondsub20 ” to avail 20% discount !! This is limited period offer so avail these benefits like now !! ?? & These sheets masks are also available across all Leading Online Stores !! Such as flipkart , nykaa , etc !! You just have to Search for these sheets At Your favourite & Convenient app !! N you’ll find them so easily !! 3 years from the date of manufacturing !! I found about this sheet mask that it is only suitable for Dry skin !! As my skin is going through combination/oily types these days , this sheet mask leaves a bit of oil residue at my t-zone after !! I Would Highly recommend this sheet mask for people with dry skin , it gives your facial skin a complete relief from dryness , giving the hydration needed thus leaving it soft, smooth and glowy !! N Yes if you Use these sheet masks on regular basis then u Really Notices the Huge difference to your skin !! Will I repurchase this product ?? Definitely Yes , I love to purchase more of such sheets and other eye gel masks from the Brand !! ?✅ I’m highly impressed by the results !! You can place this mask in the refrigerator for one hour before applying the mask , this will give a more cooling effect in these Scorching summers !! I Hope you all found this Review Helpful !! So bye for now !!! Have A Wonderful day ahead !! Hey quite good the product looks! Sheet mask ???? bahut hi relaxing lagta hai….is brand k barey me pehli baar suna hai, Nykaa per chk karti hu ? Great review. I want to try!! They really have amazing skincare products ..
Hadn’t heard of this brand or product before. Thanks for sharing! Thanks dear ! N Yes in that case you can use after while !! Tysm 🙂 do give a try ..
Ohh..as u have already mentioned that it is for dry skin…then no use buying & using it .Suggest some for oily combi skin. That’s such an awesome and detailed review! I guess this is worth a try! Thank you .. do give a try ..